Most professional wood flooring installers are familiar with and employ the two most-common methods for installing wood products – nail- and glue-down. 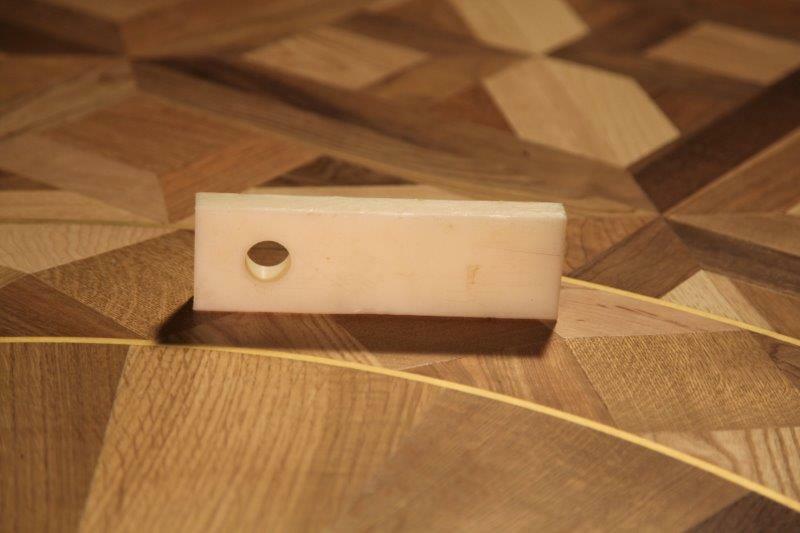 But a third method – floating installation – can be equally as effective for long-term wood flooring performance. In fact, in some situations, floating wood floors can be the best installation option available. Floated wood floors, just as the term implies, are floated above, and not secured to, the subfloor. Instead, each plank is secured to adjoining planks by way of adhesive or locking mechanisms, creating a monolithic system. 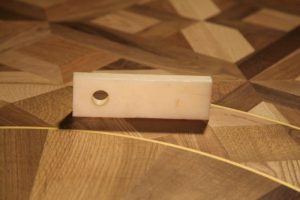 Because of this, there are some special considerations that must be addressed when installing wood floors using the floating method. As with all wood flooring installations, a successful floating floor installation includes following the wood flooring manufacturer installation instructions pertaining to properly acclimating and conditioning the wood, testing for moisture, ensuring the subfloor is adequate and flat, using the right materials for the installation, having the right tools available for the job, possessing the knowledge and experience to do the job properly, and having the right resources available if a problem is encountered. The most important consideration is the type of flooring material that can be used. For floating wood installations, only engineered flooring is acceptable. It is never appropriate to float a solid wood floor. 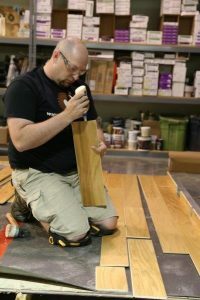 Each job is different, and it is important to always follow the wood flooring manufacturer recommendations for installation and acclimation for each individual product. For example, some manufacturers recommend their products be left in the packaging unopened while acclimating, while others require the wood packaging be opened for proper acclimation. In all cases, never store wood flooring in an uncontrolled environment, such as a garage. Installers should evaluate the ambient conditions in the space that is to receive the wood flooring, and ensure that the HVAC system is installed and operating. If this is not possible, temporary systems may need to be employed to achieve adequate conditions. Upon delivery, check the product specifications on the packaging to ensure it is compatible with the site conditions. Record, date, and document all results. Check other wood materials on the jobsite for comparison. A thermo-hygrometer should be used prior to, and during, installation to measure temperature and relative humidity levels, ensuring everything coincides with the flooring manufacturer’s requirements. Installation should begin only when these conditions are sustainable. Generally speaking, “normal conditions” are temperature levels maintained between 60℉ and 80℉, and relative humidity maintained between 30- and 50-percent. 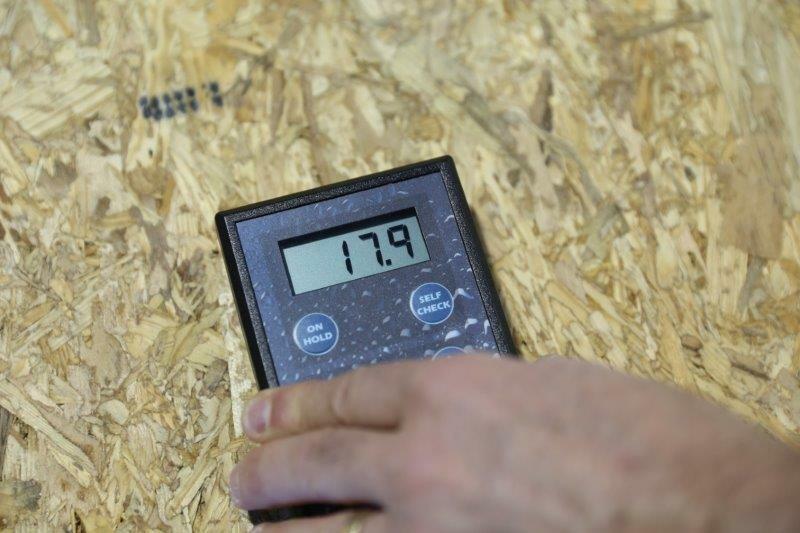 Many flooring manufacturers require variations in these relative humidity levels. This is because each product has been engineered differently. 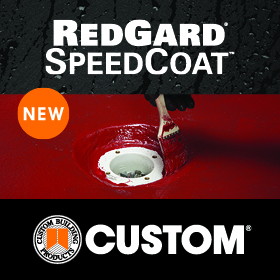 Some products have been designed to withstand greater fluctuations in humidity levels, while others have been engineered to perform in more severe climates. It is necessary to account for regional differences when selling and installing engineered flooring products, and to educate the customer as to what the acceptable temperature and humidity levels are for the area. As with all installations, you must check the moisture content of the wood flooring and subfloor. This is important, even though the floating material will not be adhered directly to the subfloor. Check with your moisture meter’s manufacturer for the proper settings to test both the flooring and subfloor material. Check with the flooring manufacturer to determine proper concrete subfloor moisture test requirements and results. Subfloors will affect the performance of the flooring long-term, even with floating floors. 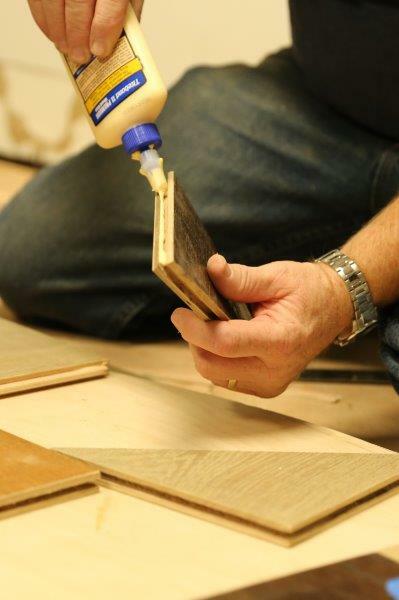 To ensure subfloor requirements are met prior to installing a floating wood floor, the substrate should be inspected to ensure it meets industry and manufacturer recommendations. This means that in addition to checking for appropriate moisture content levels, the subfloor should also be evaluated for flatness and integrity. Flatness tolerances are 3/16” within a 10’ radius, and 1/8” within a 6’ radius. 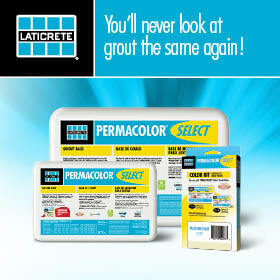 Be sure to have all substrate issues addressed prior to installation to ensure long-term performance. Once the jobsite is ready for the flooring going into it, it’s time to gather all the tools you’ll need for the job. These include a straight edge, string line, or laser; personal protective equipment; saws and cutting tools; hand tools; tapping blocks; the recommended adhesive, when applicable; the flooring manufacturer recommended underlayment material; and any other materials deemed necessary for the job. The layout will determine the overall appearance of the floor. Plan the layout to predetermine where boards will lie. This will help eliminate the possibility of the final row being too narrow. It also will help you plan for transition placement. To begin the layout, determine a starting wall. The starting wall is normally the longest, unobstructed run within the layout. Lay one entire row along the length of the working line, and install each succeeding row using the installation procedures dictated by the flooring manufacturer. Allow for expansion space by using wedges or board scraps along all walls and vertical obstructions. Undercut all doorjambs and abutting material where necessary to maintain adequate expansion. Underlayments can impact wood flooring performance as well. When installing a floating wood floor, underlayment material functions as a vapor retarder as well as a sound control system in many cases. 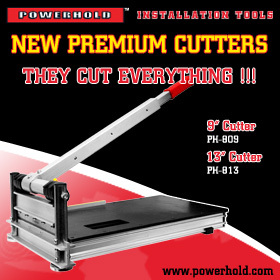 Check with the underlayment manufacturer for product specifications. Install the underlayment in the same direction as the wood flooring is being installed. Extend the underlayment a few inches up the wall and trim the excess material after the floor has been installed. Tape all seams of the underlayment material using an approved tape. Note that many underlayments already have double-sided tape to ensure the seams are adhered properly. When underlayment material does not provide moisture control, follow the flooring manufacturer instructions on how to assess potential moisture issues. A 6-mil polyethylene plastic sheeting is often recommended over concrete substrates as an appropriate vapor retarder under the underlayment material. One of the advantages of floating wood floors is they can be installed over other flooring materials. Floating wood floors installed as a monolithic system give it the ability to float over just about any material, apart from most carpets. They also are capable of being installed over particle board, which is not typically the case with nail- or glue-down flooring. Another benefit is that it gives the installer the ability to lay the floor in any direction. To ensure long-term performance, be sure to maintain perimeter expansion at all vertical obstructions. This includes walls, cabinets, fireplace hearths, etc. The typical rule of thumb is to maintain expansion space in the same dimension as the thickness of the flooring. For example, if the flooring is 1/2” thick, then the expansion space should be 1/2“. Baseboards, quarter-round, or shoe molding should not be installed directly to the flooring or impede the flooring material from floating. It is often required to leave a space between the flooring and the surrounding trim. Transition pieces are required and allow the flooring system to remain floating as well. Transition pieces may include t-molding, reducers, thresholds, or stair nosing. Remember to always follow flooring manufacturer installation requirements for perimeter expansion requirements, transition requirements, and installation methods. Floated wood floor installations are a common way to install engineered wood flooring, particularly in commercial or multi-family spaces requiring sound control, or in situations that are otherwise incompatible with wood flooring. When executed properly, a floated wood floor can be an effective installation method that will yield long-term performance results. 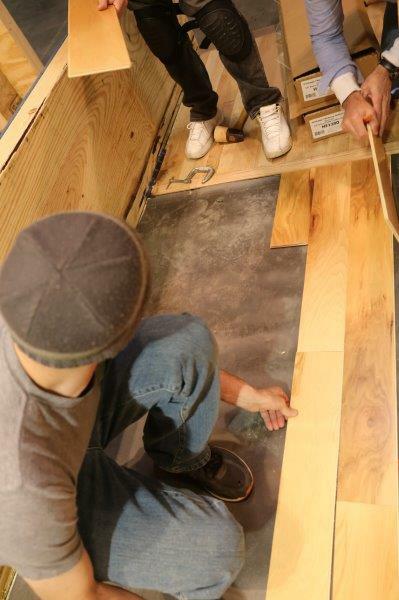 The National Wood Flooring Association provides detailed information about floating installations in its Wood Flooring Installation Guidelines, through NWFA University, and in its hands-on training programs. NWFA’s Guidelines are provided to all NWFA members as a member benefit. They are available to nonmembers for purchase. For more information, contact the NWFA at (800) 422-4556 (USA and Canada), (636) 519-9663 (international), or www.nwfa.org. Next : Retailer Corner: Is E-Mailing a Proposal a Good Idea?